The picturesque Australian landscape that is Mildura was the inspiration for these beauties. 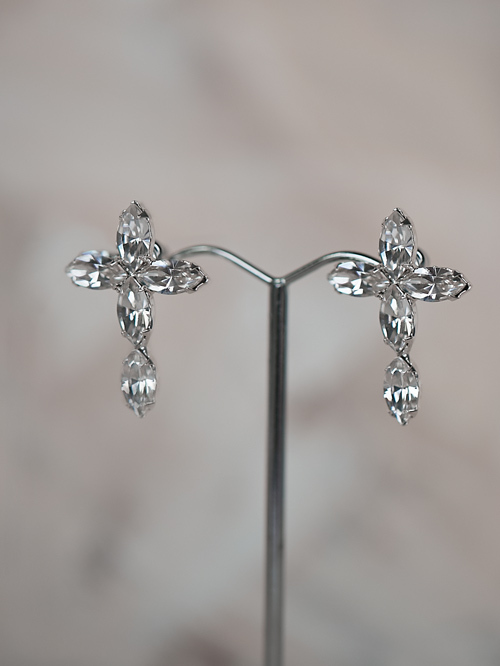 The Mildura Bridal Earrings are the perfect accessory for your Australian wedding, those and your friends and family busting a move on the dance floor till they drop. Imagine that Murray River breeze blowing you soft curls over your face as you sip on your locally crafted wine. Beautiful isn’t it? The Mildura Bride Earrings are there, on your ears as you relax and get ready to dance the night away with family and friends. The Swarovski crystals sit between two pearls on studded backs. Hello Lovers wedding jewellery designers based in Melbourne Australia Pride themselves with unique jewellery designs. 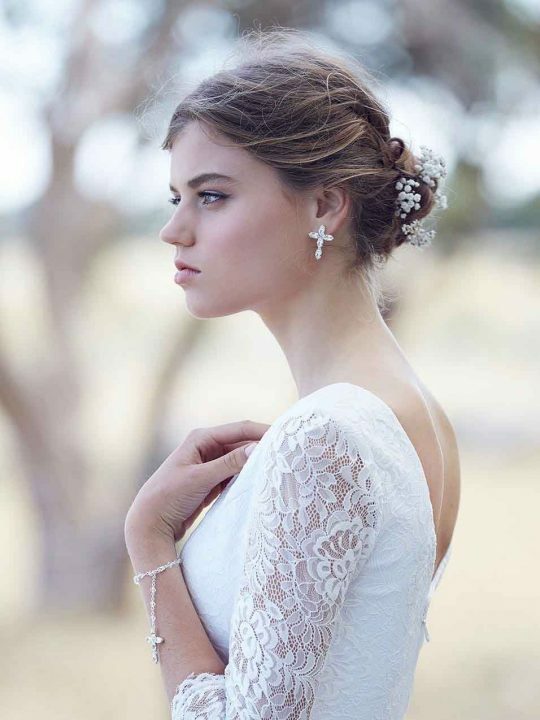 You can put together an entire bridal look be it classic or bohemian. Earrings with matching bracelets or head bands. May be an anklet if you have chosen a lace wedding dress like the Esperance. This fabulous lace gown features a split so an excellent style to show off a wedding anklet. Size: 20mm long and 19mm at widest point. Packaged in our signature pink silk Hello Lovers box. Perfect keepsake that can be handed through generations to come. 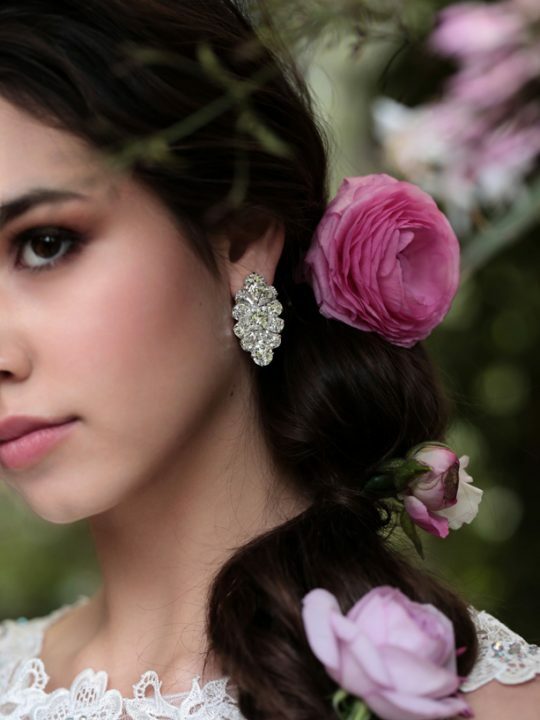 The Mildura Bridal Earrings match perfectly with the Mildura Bridal Hair Vine. The pair are subtle yet beautiful just like their namesake. Wear together with a loose bohemian hairstyle. And one of Hello Lovers beautiful lace wedding dresses. Put together with a garden or rustic setting for the perfect relaxed boho wedding vibe.